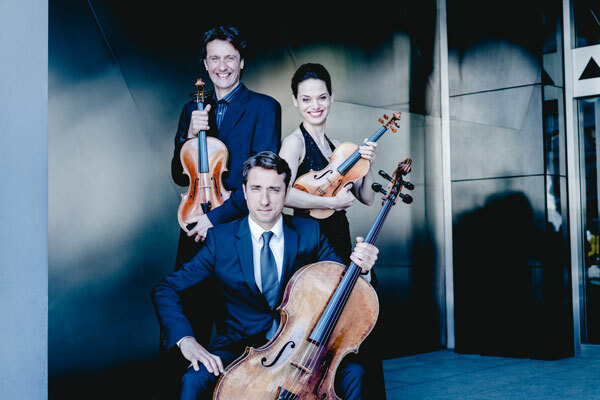 Founded in 2007, the Kreisler Trio Wien has developed into one of the top Austrian chamber music ensembles – a result of their strong sense of musical culture and excellent musicianship. The name of the ensemble is an homage to the ingenious Austrian violinist and composer Fritz Kreisler, whom we unconditionally admire. His musical heritage reminds us of a bygone era in Austrian cultural life. In addition to appearances in the Brahms-Saal of the Musikverein Wien, in the Vienna Konzerthaus, at Styriarte Graz, at numerous festivals throughout Europe and making various recordings for radio, in 2011, the trio recorded a CD of the Ignaz Joseph Pleyel’s String Trios Op. 11. Current projects include cyclical performances of the complete string trios of Ludwig van Beethoven and the piano quartets of Johannes Brahms, as well as performances of Beethoven’s Septet Op. 20 and Octets by Franz Schubert and Jean Francaix together with wind and brass players from the Vienna Philharmonic. In 2017, the Kreisler Trio Wien’s concert calendar included performances in Vienna, Paris, Warsaw, Budapest, Salzburg, Graz, Linz and St. Pölten, a number of which in association with Jeunesse Austria. The trio performed the Goldberg Variations (Johann Sebastian Bach), as well as a new program with compositions from Theresienstadt. A CD production including Wolfgang Amadeus Mozart's Divertimento KV 563 and Mozart's Horn Quintet is planned for 2018.